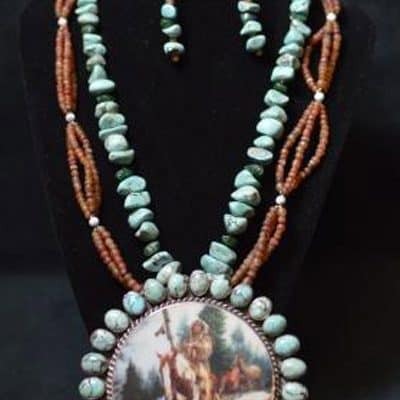 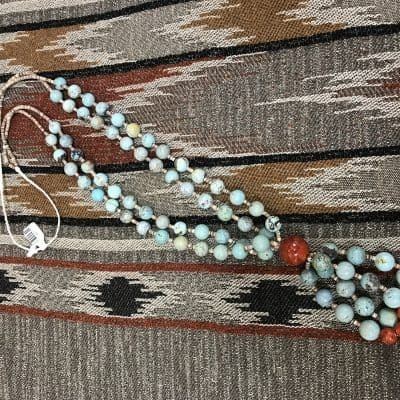 Effie Calavaza is an iconic Zuni jewelry designer. 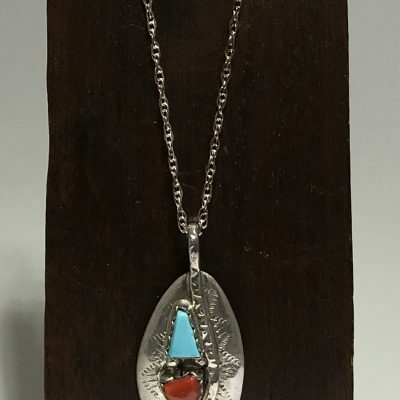 This beautiful turquoise and coral pendant has her signature snake with coral eyes wrapped around the two stones. 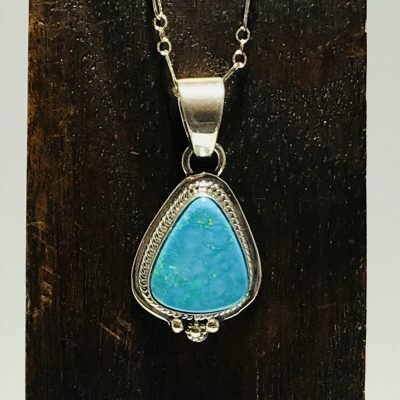 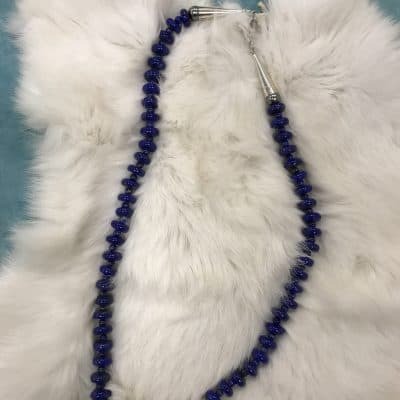 This pendant comes with a beautiful sterling silver chain.